SALE !!! 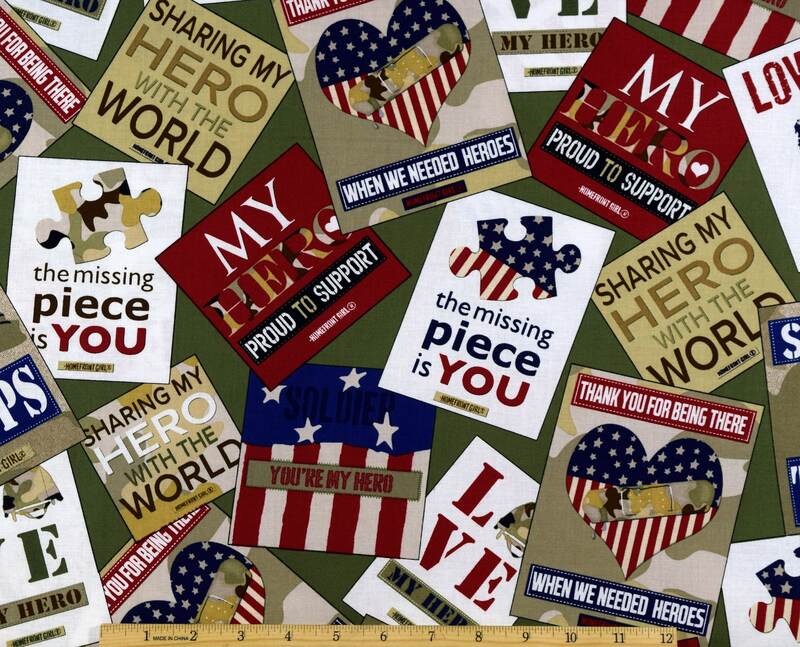 Love My Hero Blocks Toss Military Cotton Woven Fabric - Price per yard ! Great fabric, very easy purchase and quick shipping will definately purchase from this shop again! Exactly what I wanted and shipped quickly. Thank you!